GiST is a height-balanced tree that consists of node pages. The nodes consist of index rows. 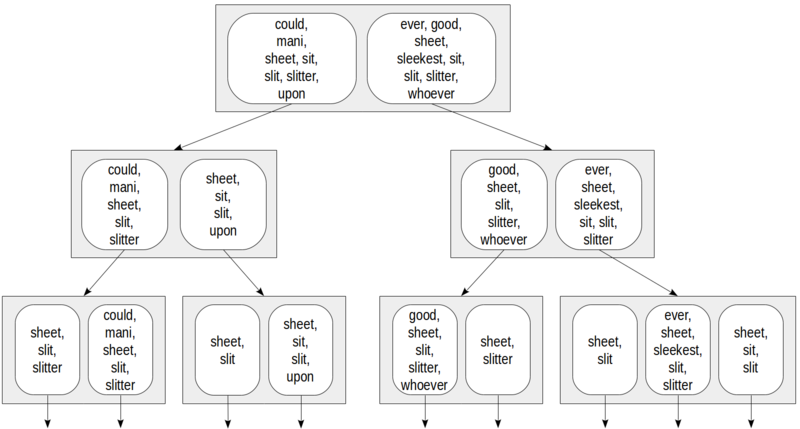 Each row of a leaf node (leaf row), in general, contains some predicate (boolean expression) and a reference to a table row (TID). Indexed data (key) must meet this predicate. Each row of an internal node (internal row) also contains a predicate and a reference to a child node, and all indexed data of the child subtree must meet this predicate. In other words, the predicate of an internal row comprises the predicates of all child rows. This important trait of GiST index replaces simple ordering of B-tree. Search in GiST tree uses a specialized consistency function («consistent») — one of the functions defined by the interface and implemented in its own way for each supported operator family. The consistency function is called for an index row and determines whether the predicate of this row is consistent with the search predicate (specified as "indexed-field operator expression"). For an internal row, this function actually determines whether it is needed to descend to the corresponding subtree, and for a leaf row, the function determines whether the indexed data meets the predicate. The search starts with a root node, as a normal tree search. The consistency function permits to find out which child nodes it makes sense to enter (there may be several of them) and which it does not. The algorithm is then repeated for each child node found. And if the node is leaf, the row selected by the consistency function is returned as one of the results. The search is depth-first: the algorithm first tries to reach a leaf node. This permits to return first results soon whenever possible (which might be important if the user is interested in only several results rather than all of them). Let's once again note that the consistency function does not need to have anything to do with «greater», «less», or «equal» operators. The semantics of the consistency function may be quite different and therefore, the index is not assumed to return values in a certain order. We will not discuss algorithms of insertion and deletion of values in GiST: a few more interface functions perform these operations. There is one important point however. When a new value is inserted into the index, the position for this value in the tree is selected so that the predicates of its parent rows are extended as little as possible (ideally, not extended at all). But when a value is deleted, the predicate of the parent row is not reduced anymore. This only happens in cases like these: a page is split into two ones (when the page does not have enough space for insertion of a new index row) or the index is recreated from scratch (with REINDEX or VACUUM FULL command). Therefore, efficiency of GiST index for frequently changing data can degrade over time. Points (and other geometric entities) and search of nearest neighbors. We will illustrate the above by example of an index for points in a plane (we can also build similar indexes for other geometric entities). A regular B-tree does not suit this data type of data since no comparison operators are defined for points. 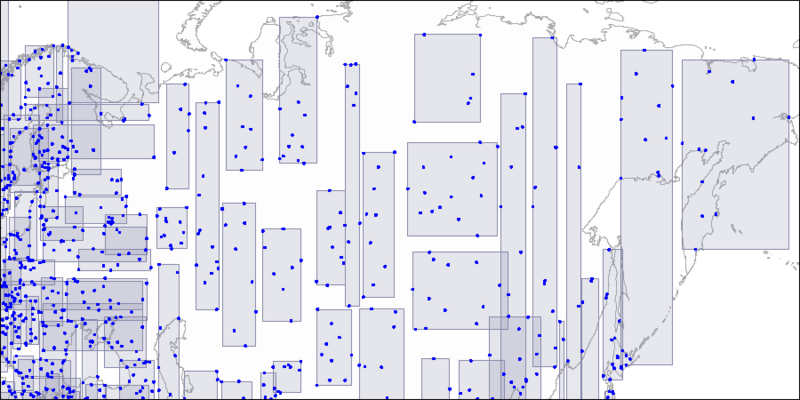 The idea of R-tree is to split the plane into rectangles that in total cover all the points being indexed. An index row stores a rectangle, and the predicate can be defined like this: «the point sought lies within the given rectangle». The root of the R-tree will contain several largest rectangles (possibly intersecting). Child nodes will contain smaller-size rectangles that are embedded in the parent one and in total cover all underlying points. In theory, leaf nodes must contain points being indexed, but the data type must be the same in all index rows and therefore, again rectangles are stored, but «collapsed» into points. To visualize such a structure, we provide images for three levels of the R-tree. 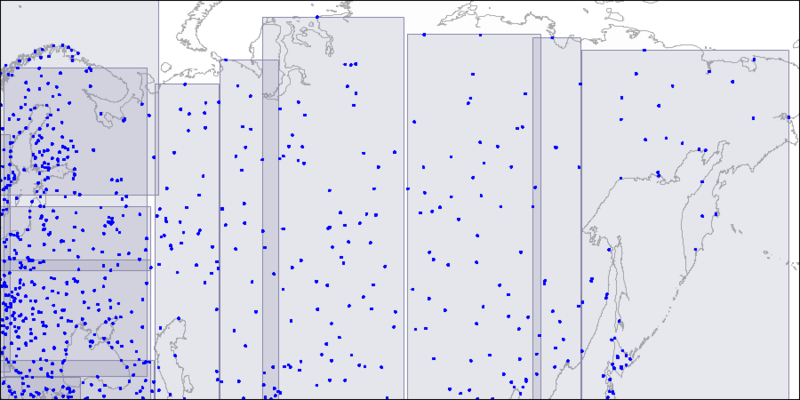 Points are coordinates of airports (similar to those from the «airports» table of the demo database, but more data from openflights.org is provided). Level one: two large intersecting rectangles are visible. Level two: large rectangles are split into smaller areas. Level three: each rectangle contains as many points as to fit one index page. The consistency function of the operator ("indexed-field <@ expression", where indexed-field is a point and expression is a rectangle) is defined as follows. For an internal row, it returns «yes» if its rectangle intersects with the rectangle defined by the expression. For a leaf row, the function returns «yes» if its point («collapsed» rectangle) is contained in the rectangle defined by the expression. The search starts with the root node. The rectangle (2,1)-(7,4) intersects with (1,1)-(6,3), but does not intersect with (5,5)-(8,8), therefore, there is no need to descend to the second subtree. Upon reaching a leaf node, we go through the three points contained there and return two of them as the result: (3,2) и (6,3). Unfortunately, customary «pageinspect» does not allow looking into GiST index. But another way is available: «gevel» extension. It is not included in the standard delivery, so see the installation instructions. It is clear that the size of the index on airport coordinates is 690 pages and that the index consists of four levels: the root and two internal levels were shown in figures above, and the fourth level is leaf. Actually, the index for eight thousand points will be considerably smaller: here it was created with a 10% fillfactor for clarity. Actually, the figures provided above were created just from this data. Operators discussed so far (such as <@ in the predicate p <@ box '(2,1),(7,4)') can be called search operators since they specify search conditions in a query. p <-> point '(4,7)' here is an expression that uses an ordering operator <->, which denotes the distance from one argument to the other one. The meaning of the query is to return two points closest to the point (4,7). 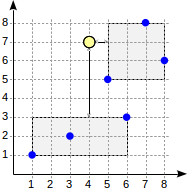 Search like this is known as k-NN — k-nearest neighbor search. The numbers of strategies are also shown, with their meanings explained. It is clear that there are far more strategies than for «btree», only some of them being supported for points. Different strategies can be defined for other data types. The distance function is called for an index element, and it must compute the distance (taking into account the operator semantics) from the value defined by the expression ("indexed-field ordering-operator expression") to the given element. For a leaf element, this is just the distance to the indexed value. For an internal element, the function must return the minimum of the distances to the child leaf elements. Since going through all child rows would be pretty costly, the function is permitted to optimistically underestimate the distance, but at the expense of reducing the search efficiency. However, the function is never permitted to overestimate the distance since this will disrupt the work of the index. The distance function can return values of any sortable type (to order values, PostgreSQL will use comparison semantics from the appropriate operator family of «btree» access method, as described earlier). For points in a plane, the distance is interpreted in a very usual sense: the value of (x1,y1) <-> (x2,y2) equals the square root of the sum of squares of differences of the abscissas and ordinates. The distance from a point to a bounding rectangle is taken to be the minimal distance from the point to this rectangle or zero if the point lies within the rectangle. It is easy to compute this value without walking through child points, and the value is for sure no greater than the distance to any child point. Let's consider the search algorithm for the above query. The search starts with the root node. The node contains two bounding rectangles. The distance to (1,1)-(6,3) is 4.0 and to (5,5)-(8,8) is 1.0. This information suffices to return the first two points, (5,5) and (7,8). Since we are aware that the distance to points that lie within the rectangle (1,1)-(6,3) is 4.0 or greater, we do not need to descend to the first child node. But what if we needed to find the first three points? Although the second child node contains all these points, we cannot return (8,6) without looking into the first child node since this node can contain closer points (since 4.0 < 4.1). For internal rows, this example clarifies requirements for the distance function. By selecting smaller distance (4.0 instead of actual 4.5) for the second row, we reduced the efficiency (the algorithm needlessly started examining an extra node), but did not break correctness of the algorithm. Until recently, GiST was the only access method capable of dealing with ordering operators. But the situation has changed: RUM access method (to be discussed further) has already joined this group of methods, and it is not unlikely that good old B-tree will join them: a patch developed by Nikita Glukhov, our colleague, is being discussed by the community. As of march 2019, k-NN support is added for SP-GiST in upcoming PostgreSQL 12 (also authored by Nikita). Patch for B-tree is still in progress. Another example of using GiST access method is indexing of intervals, for example, time intervals («tsrange» type). All the difference is that internal nodes will contain bounding intervals instead of bounding rectangles. && operator for intervals denotes intersection; therefore, the query must return all intervals intersecting with the given one. For such an operator, the consistency function determines whether the given interval intersects with a value in an internal or leaf row. GiST index can be used to support exclusion constraints (EXCLUDE). The exclusion constraint ensures given fields of any two table rows not to «correspond» to each other in terms of some operators. If «equals» operator is chosen, we exactly get the unique constraint: given fields of any two rows do not equal each other. It is supported by the index method — «can_exclude» property (for example, «btree», GiST, or SP-GiST, but not GIN). It is commutative, that is, the condition is met: a operator b = b operator a. Note that we can use the equality operator in an exclusion constraint, but it is impractical: a unique constraint will be more efficient. That is exactly why we did not touch upon exclusion constraints when we discussed B-trees. Let's provide an example of using an exclusion constraint. It is reasonable not to permit reservations for intersecting intervals. ERROR: conflicting key value violates exclusion constraint "reservations_during_excl"
DETAIL: Key (during)=(["2017-05-15 00:00:00","2017-06-15 00:00:00")) conflicts with existing key (during)=(["2017-06-10 00:00:00","2017-06-13 00:00:00")). ERROR: data type integer has no default operator class for access method "gist"
HINT: You must specify an operator class for the index or define a default operator class for the data type. In this case, "btree_gist" extension will help, which adds GiST support of operations inherent to B-trees. GiST, eventually, can support any operators, so why should not we teach it to support «greater», «less», and «equal» operators? ERROR: conflicting key value violates exclusion constraint "reservations_during_house_no_excl"
But be aware that although GiST can somehow support «greater», «less», and «equal» operators, B-tree still does this better. So it is worth using this technique only if GiST index is essentially needed, like in our example. Let's start with a minimalist introduction to PostgreSQL full-text search (if you are in the know, you can skip this section). We can also see that some words (called stop words) are totally dropped («there», «was», «a», «and», «he») since they presumably occur too often for search of them to make sense. All these conversions can certainly be configured, but that's another story. A search query is represented with another type: «tsquery». Roughly, a query consists of one or several lexemes joint by connectives: «and» &, «or» |, «not»!.. We can also use parentheses to clarify operation precedence. Only one match operator @@ is used for full-text search. This information suffices for now. We will dive a little deeper into full-text search in a next article that features GIN index. For fast full-text search, firstly, the table needs to store a column of type «tsvector» (to avoid performing a costly conversion each time when searching) and secondly, an index must be built on this column. One of possible access methods for this is GiST. It is, certainly, convenient to entrust a trigger with the last step (conversion of the document to «tsvector»). doc     | Can a sheet slitter slit sheets? doc     | How many sheets could a sheet slitter slit? doc     | I slit a sheet, a sheet I slit. doc     | Upon a slitted sheet I sit. doc     | Whoever slit the sheets is a good sheet slitter. doc     | I am a sheet slitter. doc     | I slit sheets. doc     | I am the sleekest sheet slitter that ever slit sheets. doc     | She slits the sheet she sits on. How should the index be structured? Use of R-tree directly is not an option since it is unclear how to define a «bounding rectangle» for documents. But we can apply some modification of this approach for sets, a so-called RD-tree (RD stands for «Russian Doll»). A set is understood to be a set of lexemes in this case, but in general, a set can be any. An idea of RD-trees is to replace a bounding rectangle with a bounding set, that is, a set that contains all elements of child sets. This representation has evident issues. The number of lexemes in a document can be pretty large, so index rows will have large size and get into TOAST, making the index far less efficient. Even if each document has few unique lexemes, the union of sets may still be very large: the higher to the root the larger index rows. 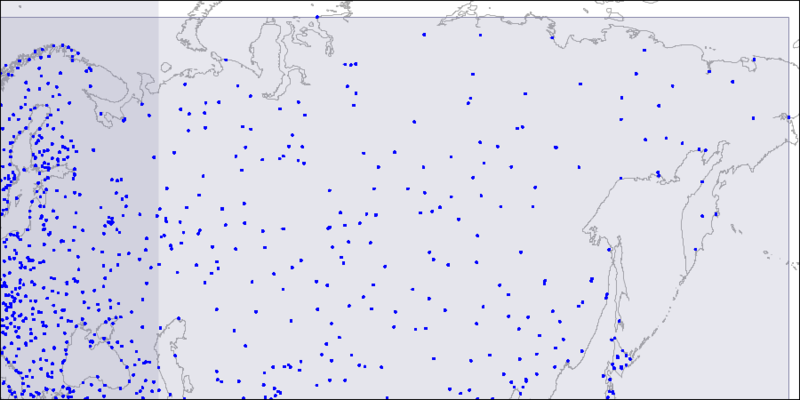 A representation like this is sometimes used, but for other data types. And full-text search uses another, more compact, solution — a so-called signature tree. Its idea is quite familiar to all who dealt with Bloom filter. Each lexeme can be represented with its signature: a bit string of a certain length where all bits but one are zero. The position of this bit is determined by the value of hash function of the lexeme (we discussed internals of hash functions earlier). The document signature is the bitwise OR of the signatures of all document lexemes. The advantages of this approach are evident: index rows have equal small sizes, and such an index is compact. But a drawback is also clear: the accuracy is sacrificed to compactness. Compare with the figure above: we can see that the tree turned yellow, which means that false positives occur and excessive nodes are went through during the search. Here we picked up «whoever» lexeme, whose signature unfortunately was the same as the signature of «sit» lexeme. It's important that no false negatives can occur in the pattern, that is, we are sure not to miss needed values. Besides, it may so happen that different documents will also get the same signatures: in our example, unlucky documents are «I slit a sheet, a sheet I slit» and «I slit sheets» (both have the signature of 0001100). And if a leaf index row does not store the value of «tsvector», the index itself will give false positives. Of course, in this case, the method will ask the indexing engine to recheck the result with the table, so the user will not see these false positives. But the search efficiency may get compromised. Actually, a signature is 124-byte large in the current implementation instead of 7-bit in the figures, so the above issues are much less likely to occur than in the example. But in reality, much more documents get indexed as well. To somehow reduce the number of false positives of the index method, the implementation gets a little tricky: the indexed «tsvector» is stored in a leaf index row, but only if its size is not large (a little less than 1/16 of a page, which is about half a kilobyte for 8-KB pages). Adding and filling in the column of «tsvector» type and building the index. Here we will join three values in one vector (subject, author, and message text) to show that the document does not need to be one field, but can consist of totally different arbitrary parts. DETAIL:  Words longer than 2047 characters are ignored. We can see that together with 898 rows matching the condition, the access method returned 7859 more rows that were filtered out by rechecking with the table. This demonstrates a negative impact of the loss of accuracy on the efficiency. Values of the specialized type «gtsvector» that are stored in index rows are actually the signature plus, maybe, the source «tsvector». If the vector is available, the output contains the number of lexemes (unique words), otherwise, the number of true and false bits in the signature. It is clear that in the root node, the signature degenerated to «all ones», that is, one index level became absolutely useless (and one more became almost useless, with only four false bits). Sorting of values and unique constraint are not supported. As we've seen, the index can be built on several columns and used in exclusion constraints. The first property tells that the distance operator is available for search of nearest neighbors. And the second one tells that the index can be used for index-only scan. Although leaf index rows store rectangles rather than points, the access method can return what's needed. For intervals, the distance function is not defined and therefore, search of nearest neighbors is not possible. Support of index-only scan has been lost since leaf rows can contain only the signature without the data itself. However, this is a minor loss since nobody is interested in the value of type «tsvector» anyway: this value is used to select rows, while it is source text that needs to be shown, but is missing from the index anyway. Finally, we will mention a few more types that are currently supported by GiST access method in addition to already discussed geometric types (by example of points), intervals, and full-text search types. cube provides «cube» data type for multi-dimensional cubes. For this type, just as for geometric types in a plane, GiST operator class is defined: R-tree, supporting search for nearest neighbors. seg provides «seg» data type for intervals with boundaries specified to a certain accuracy and adds support of GiST index for this data type (R-tree). intarray extends the functionality of integer arrays and adds GiST support for them. Two operator classes are implemented: «gist__int_ops» (RD-tree with a full representation of keys in index rows) and «gist__bigint_ops» (signature RD-tree). The first class can be used for small arrays, and the second one — for larger sizes. 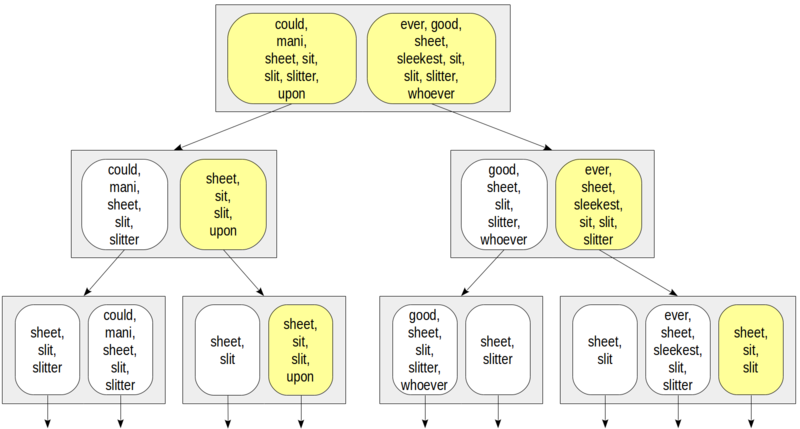 ltree adds «ltree» data type for tree-like structures and GiST support for this data type (RD-tree). pg_trgm adds a specialized operator class «gist_trgm_ops» for use of trigrams in full-text search. But this is to be discussed further, along with GIN index.